August is looking to heat up with Antifa and their comrades Submedia and Crimethinc getting ready to get their violence on in the name of confronting fascism. 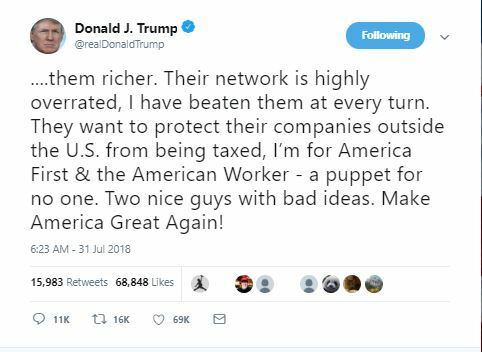 That’s rich because they are communists. They are also taking a so-called stance against the prison-industrial complex and of course their efforts to throw the border wide open and abolish ICE. Watch the videos below, they are disturbing and alarming. 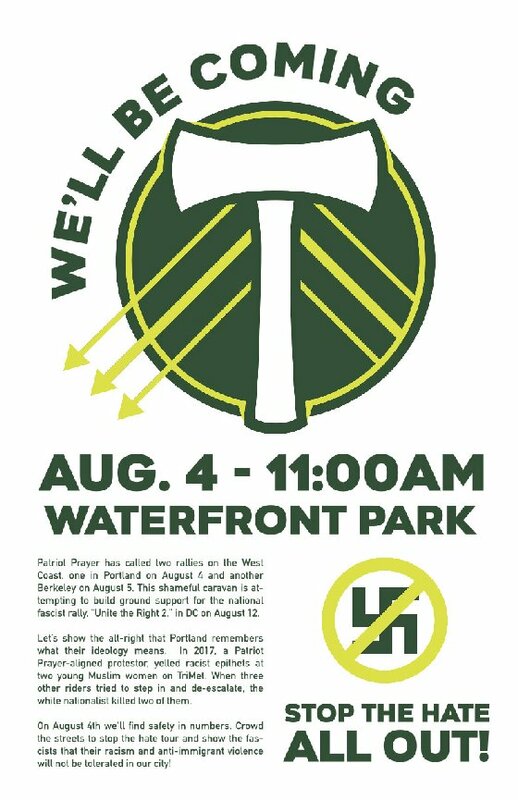 Their propagandic videos are spun to make groups such as Patriot Prayer look as though they are the ones bringing violence to the streets. From what I have personally seen, this is not true at all. 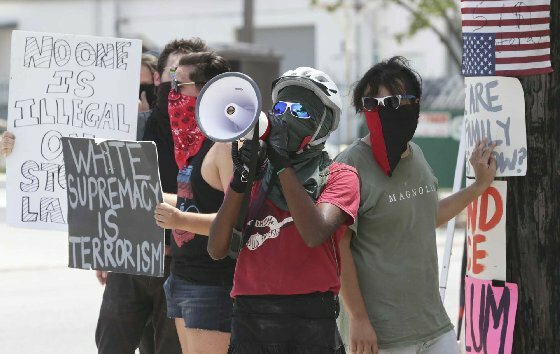 It is fascist/communist groups such as Antifa that bring the violence every time. There are some on the far right that are violent, don’t get me wrong. But the overwhelming majority of incidents come from Antifa. They promote militant violence to combat those they label as fascists. That would be anyone who supports President Trump or who is a conservative. Antifa is unapologetic for wanting to get down and dirty with the right. They see them as the enemy and will go to war with them all the while claiming that the right brought the violence on themselves. It’s twisted… it’s leftist authoritarian think… it’s communism. It’s ironic in the extreme that Antifa is claiming they are protecting people while inciting violence. They say there is a new wave of violence coming from the fascist right, but the only time we see violence is when the left and Antifa are involved. They are calling everyone on the right fascists and Nazis. I doubt they even know what that means. Ankara for years has been providing support to Hamas, Iran, ISIS, al Qaeda and Libyan Jihadists, yet it’s this incredibly stupid decision to hold an American hostage that has ultimately earned Turkey its first US sanctions. The U.S. has prepared a list of Turkish entities and individuals to target should it decide to impose sanctions on Recep Tayyip Erdogan’s government for imprisoning U.S. citizens and employees of its diplomatic mission, according to two people with knowledge of the matter. While negotiations to release one of the people, evangelical Pastor Andrew Brunson, are ongoing, the preparation of the so-called “designation packages” shows how close the U.S. has come to imposing unprecedented penalties against a NATO ally. The sanctions are modeled on those against the Russian government and oligarchs close to President Vladimir Putin, the people said, asking not to be named because of the sensitivity of the issue. 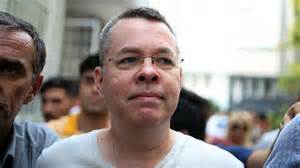 The U.S. has extended deadlines this week to release Brunson or face sanctions, according to Turkish and U.S. officials familiar with the talks. The people and entities determined in the designation packages would need to be approved by the Treasury secretary and secretary of state. 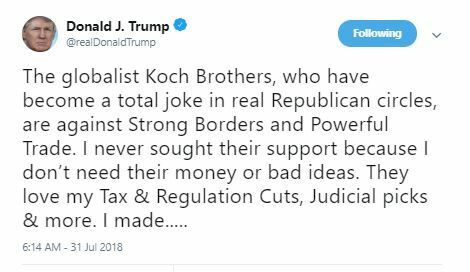 Kudos to President Trump for attacking the insidious Koch Brothers. The damage they do with their “open borders” and “empty the prisons” BS more than outweighs the good work they do on taxes and regulations. Almost a year ago, Mary and I moved from Florida to West Virginia to be closer to our parents. June 1st, my dad passed at age 90. We’ve enjoyed living in small town Trump country USA. I ate tomatoes, a cucumber and a green pepper in my salad from Mary’s tiny garden. Now that summer is about over and the kids are headed back to school, please join us in focusing on the extremely important tasks at hand. The 2018 midterms are swiftly approaching and demand patriots’ all-hands-on-deck participation. We’ve hired the pet-sitter to watch Sammy, our elderly Greyhound, Mary’s 8 birds and two cats. August 5th, Mary and I are flying to Arizona to join the Conservative Campaign Committee to work for the strongest conservative in that race for the US Senate. 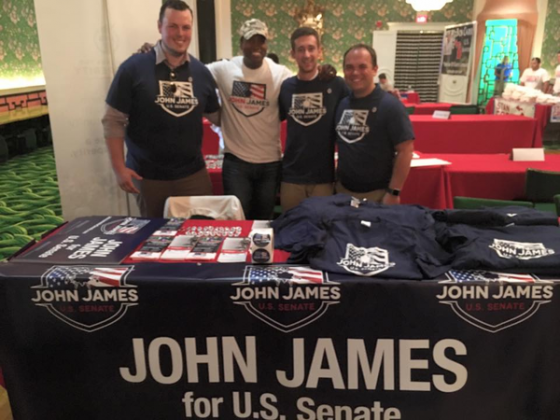 I am particularly excited about our CCC team going to Michigan to campaign for an exciting 37 year-old black conservative Republican and vet, John James. https://johnjamesforsenate.com/ Running for US Senate, James has been endorsed by President Trump. Wow folks, a black guy running who loves his country, doesn’t desire to punish white America and doesn’t view himself as an entitled victim. Awesome!